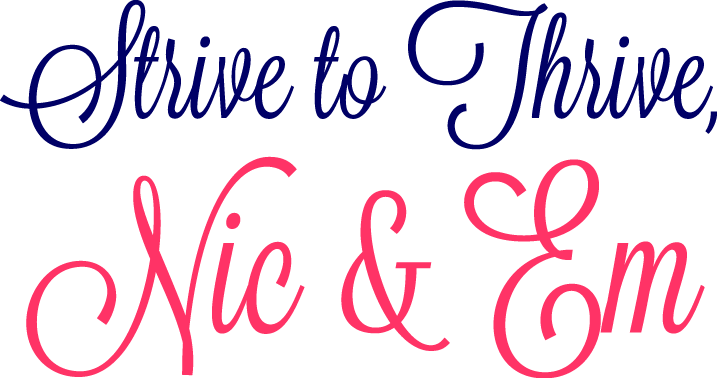 GRAND OPENING - The Thriving Wives STORE!! 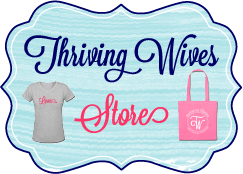 Yep that's right, we are proud to announce the official Thriving Wives Store!!! We could only hear "I need a TW shirt" so many times before we finally did something about it, so here we are. We have designed our hearts out and are ready to share our Thriving Swag with you! We are really excited to offer our items through Spreadshirt as they have superb customer service and offer high quality products for us to print our designs on. Not to mention, they are always having sales and specials which you can see on the banner at the top of our shop (currently it's 10% off all women's products, for breast cancer awareness month). Whether you want to spread positivity and joy by rocking THRIVE, or perhaps hit the gym with confidence and you prepare to SWEAT your heart out, we've got the V for you. 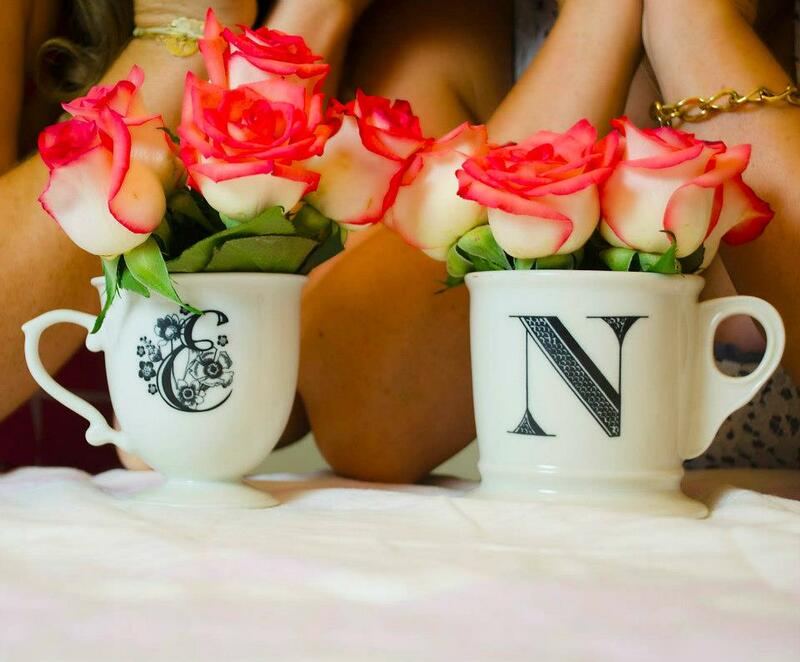 A friend getting engaged and you want to welcome her into the club of Thriving Wives? Then grab her a LOVE shirt to show her you care. What about the latest Thriving Couple to purchase a new home? Well, nothing shares their excitement more than making sure the Thriving Mrs. has her NEST top on while shopping for frugal fab finds to personalize the home. Just in time for the holidays you can swoop up an EAT shirt to wear while preparing your favorite comfort foods for the family. 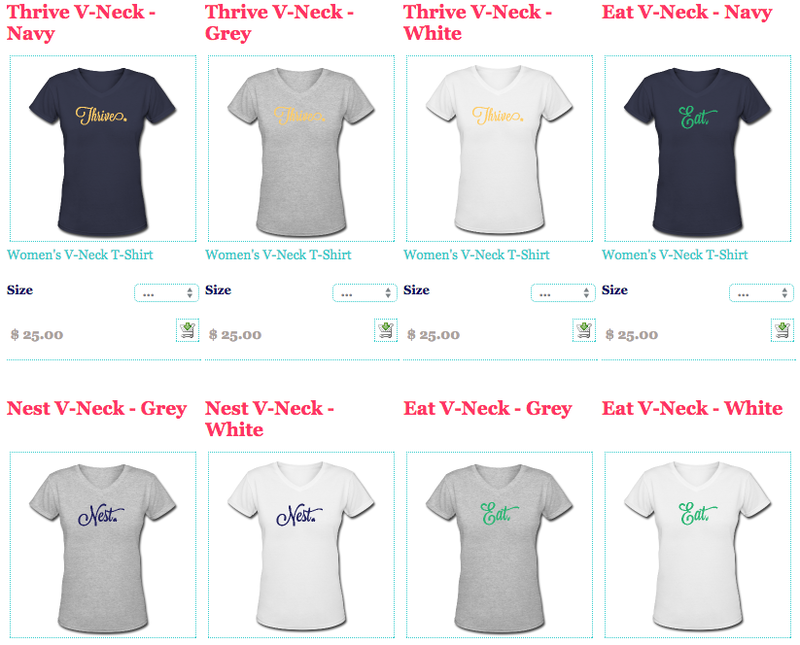 I mean there are so many great options and that is only in our beloved V-neck! Thirsty? 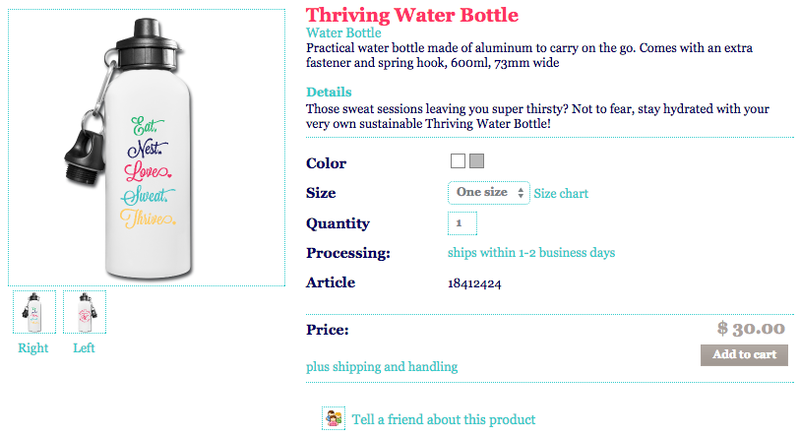 Then don't miss this chance to show your eco-pride by rocking your Thriving Water Bottle all over town. Since you should never be without water and always keeping that body hydrated, this is the perfect accessory for any Thriving Wife, we love ours! With so many Thriving Babies about, it only seems right that they show some pride too by wearing these adorable rompers and onesies! Don't let your little one miss out representing for their mommies! Now shop away! Also, we take requests so if there is anything you'd like to see some Thriving Wives spice on, please let us know and we will make it happen!